Hello everyone, and thanks for coming to visit today at My Dreams of Disney! Today I have a confession to make — I have a fear of ferris wheels! When I was a kid, I read way too many horror books about the freak in the funhouse who stalked everyone at the carnival, and as a result, I became convinced that the ferris wheel would fall apart right when I made it to the top. If you were to ask my wife and daughter, they would tell you that I would be as far away from the ferris wheel as possible! 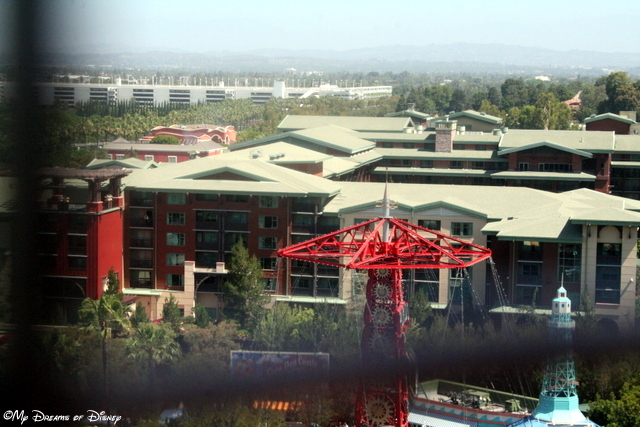 Well, when we got to Disneyland, one of the things that I really wanted to check out was Mickey’s Fun Wheel, which is, in my opinion, a state of the art ferris wheel the likes of which I’ve never seen before. 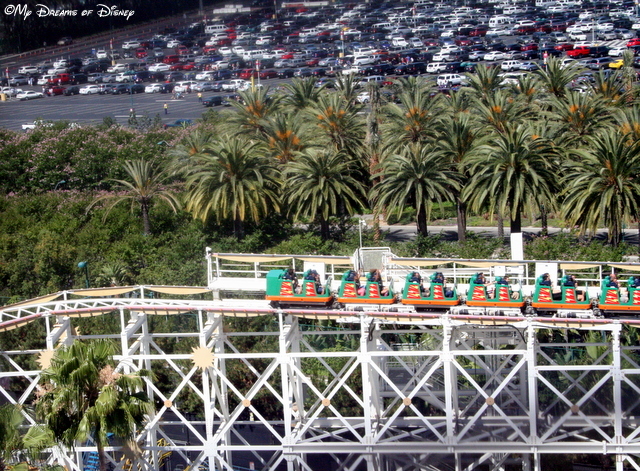 You may remember that Mickey’s Fun Wheel was my featured post for day 96 in our countdown to Disneyland series. 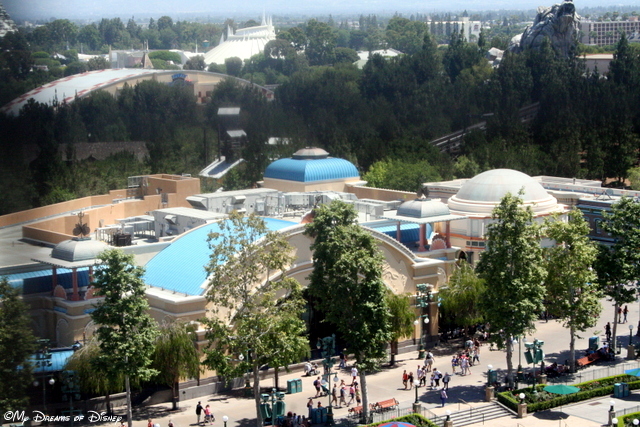 It’s a Disney attraction — not some cheap imitation that showed up one night — so I knew that it was going to be okay. As you look at the pictures, you’ll see that you have an enclosed car, which makes it safer, at least in my mind. There are two sections — a stationary section on the outside of the wheel, and one that swings on the inside. I made sure that we tried them both for comparison. 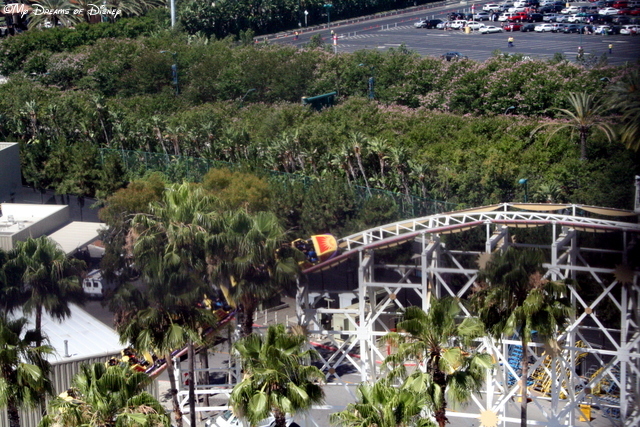 The fun wheel stands up at 160 feet tall, so you can get some incredible shots of the park from there! 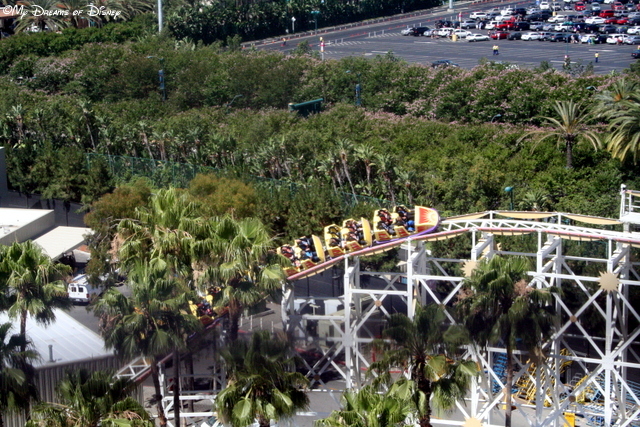 I really enjoyed my rides on Mickey’s Fun Wheel, as well as the other attractions in Paradise Pier. 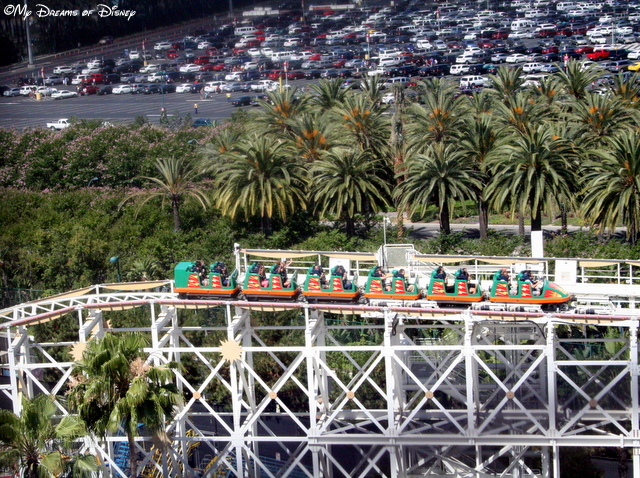 In fact, I feel like Paradise Pier is my favorite part of California Adventure, despite the beauty of Cars Land. Take a look at these photos, I hope you enjoy them! I’m not a ferris wheel fan either, Mike – especially not the cheapies at the local carnivals. I’ve been known to board the Giant Wheels at amusements parks or the beach – but, even those, I get a little antsy when they stop at the top. You DID get some great shots from up there, though! See Heidi, another thing we have in common! Thanks for commenting and thanks for the compliment on my pictures also! I had the opposite happen. 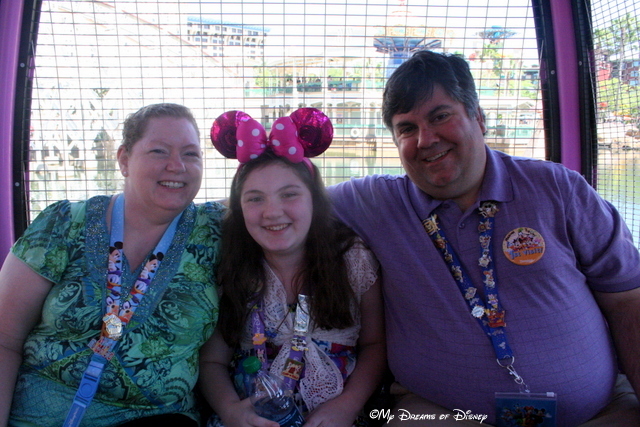 I was never scared of ferris wheels until I rode Mickey’s Fun Wheel. I don’t think I will ever go on a ferris wheel again. Interesting, Kuleen! Thanks for sharing that, was it the swinging, or the height, or something else that you think caused this? Most likely, I’ll probably still avoid the Ferris Wheels at our state fair we have every year, but I’ll enjoy Mickey’s Fun Wheel time and time again in the future! Thanks for commenting! I am severely afraid of heights!! 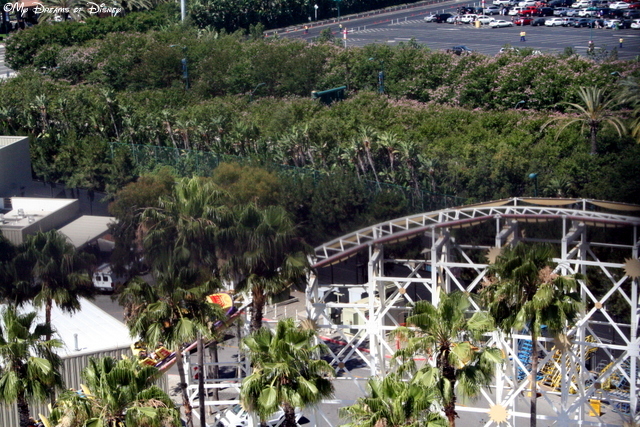 But, in the past year, I conquered Everest, Tower of Terror, and Space Mountain! 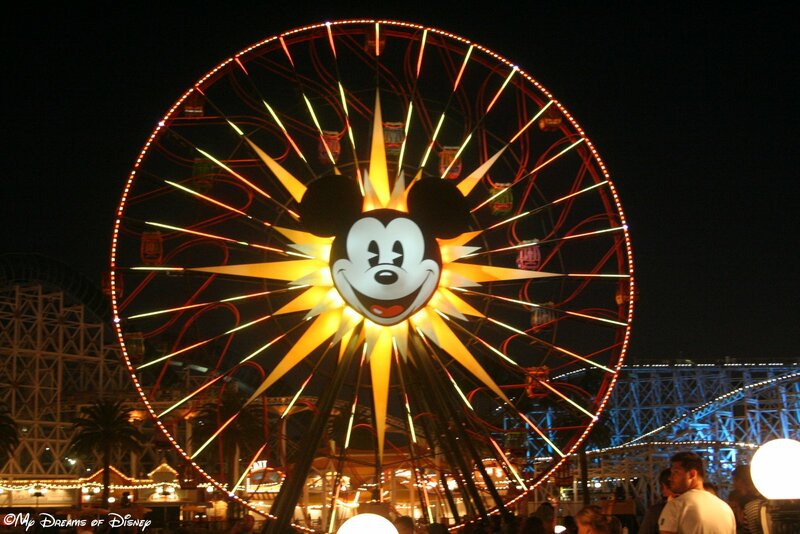 As scared as I would be, I would HAVE to try Mickey’s Fun Wheel because, well…it has Mickey on it!! I’m with you on the “throw ’em up overnight ferris wheels”…no thank you!! Those were some pretty awesome pictures that you took…thanks for sharing!! Thanks, Stephanie! I know what you mean about fear of heights, great job in conquering your fears! Good luck in getting out to California, if it’s a long journey, make sure to put it on your bucket list!